Pack of 2 cloths - 38 x 32cm. 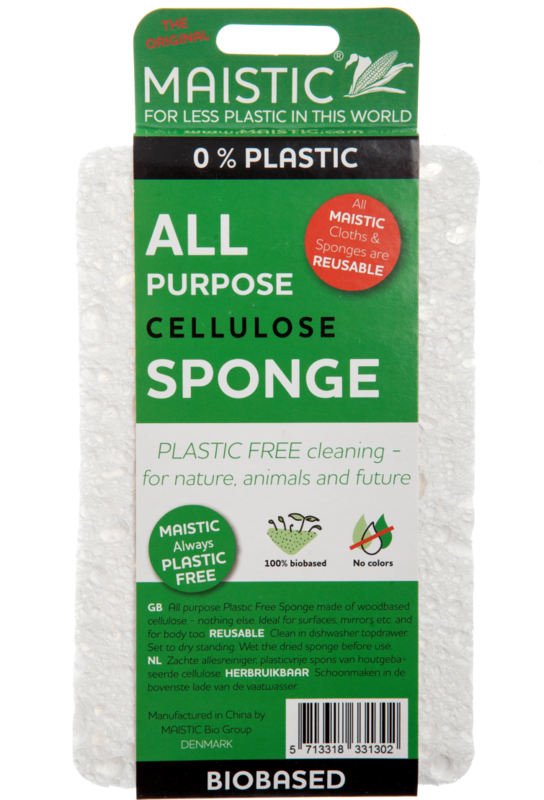 A strong microplastic free cloth, The 20-50% polyester fibres that are usually in viscose cloths are simply replaced with more woodbased viscose. The thickness of this cloth means it will not crumble during mopping. 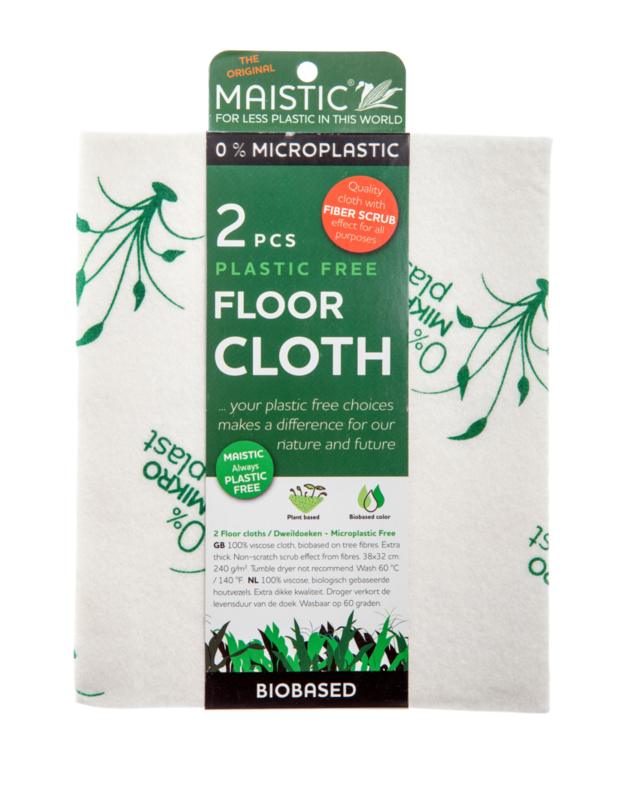 Maistic Micro Plastic Free Floor Cloth is 100% bio based, washable at 60 degrees and can be composted. Why should you change? The standard cleaning cloths commercially available contain up to 50% polyester. This type of plastic pollutes nature as the fibres break off during use, wear and tear and wash – indoors and outdoors. When microplastic is in nature it will stay – and it will end up in the oceans, nature, animals and thereby also our food chain.